1 OWNER TOYOTA CAMRY. IN GREAT SHAPE, POWER LOCKS & WINDOWS, ALLOYS & MORE! CHECK OUT THE VIDEO. 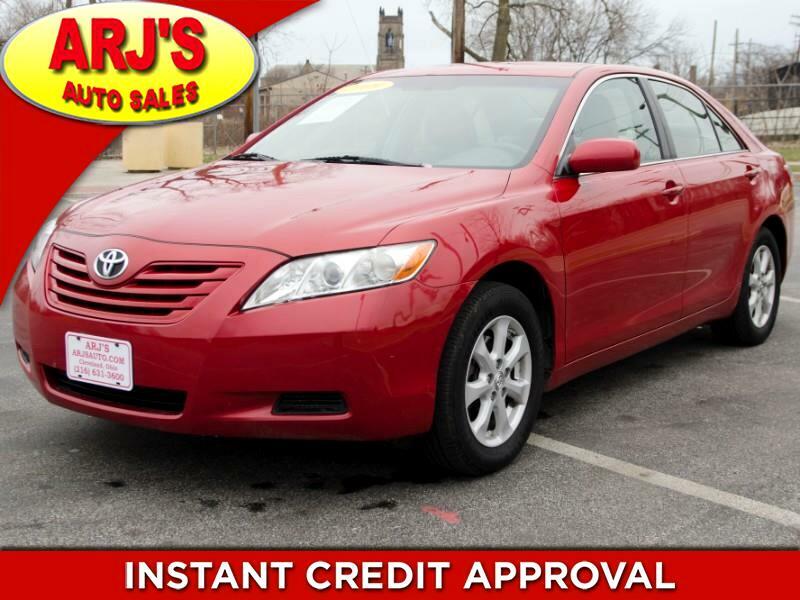 ARJ'S AUTO SALES IS PROUD TO PRESENT THIS 2009 TOYOTA CAMRY SE. BOLD RED METALLIC PAINT OPENS TO A NICELY EQUIPPED GREY CLOTH INTERIOR . COMES WITH POWER WINDOWS, LOCKS AND MIRRORS, STEREO CONTROLS ON THE STEERING WHEEL, CRUISE, CD STEREO, KEYLESS ENTRY, AND A/C ARE ALL EQUIPPED IN THIS COMFORTABLE INTERIOR. THE TIRES HAVE GREAT TREAD ON THEM AS WELL! THE 2.4L ENGINE PROVIDES PLENTY OF POWER AND EFFICIENCY.